The interactive animation represents the geometric relationships described by the lens equation. 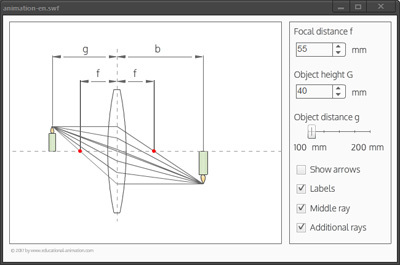 The focal length of the lens and the object height can be freely adjusted via two controls. All elements shown are adjusted in real time.